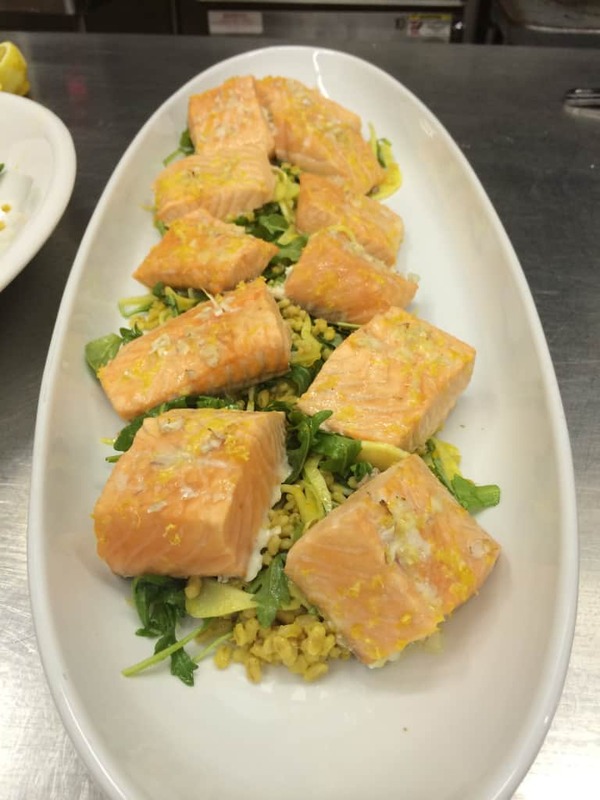 Stop & Shop Recipe for Slow Roasted Salmon with Toasted Barley and Fennel and Giveaway! Disclosure: This giveaway is sponsored by Stop and Shop. I was not compensated by Stop and Shop for this post but I did receive a swag bag and a $25 gift card to the supermarket as a thank you for attending their sponsored event. All opinions are my own. 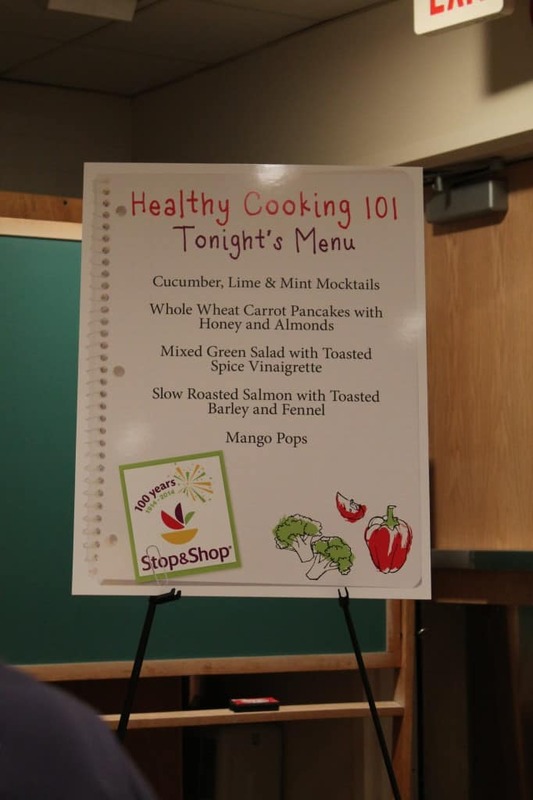 Last month, I was invited to attend a healthy cooking class for food bloggers at Boston University, sponsored by Stop and Shop. Our hosts for the evening were Chef Jeremy Sewall (Owner and Executive Chef of the fabulous Boston restaurants Lineage, Row 34, and Island Creek Oyster Bar) and Stop and Shop’s very own Registered Dietitian/Nutritionist, Julie Menounos. The menu included recipes that were pretty family-friendly and made extra flavorful by incorporating different herbs and spices. 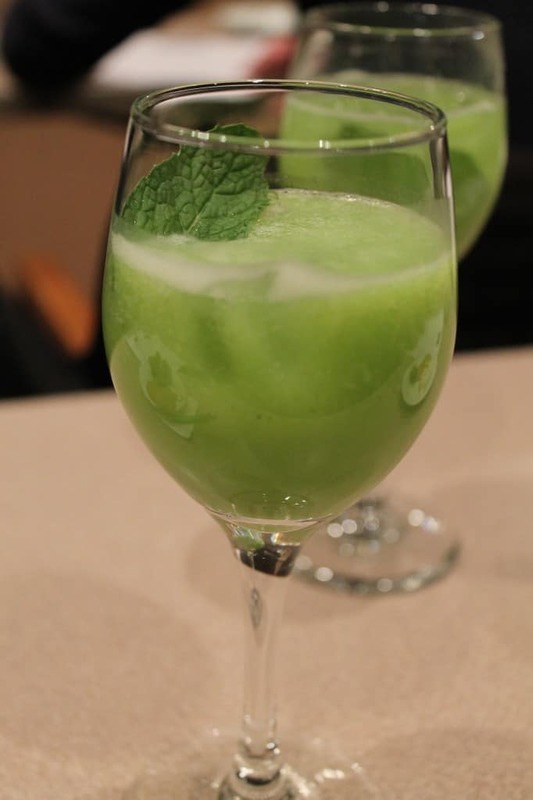 We started off sipping on mocktails made with cucumber, mint, lime and agave nectar. I personally didn’t care for them because I’m not a fan of cucumber (weird, I know). 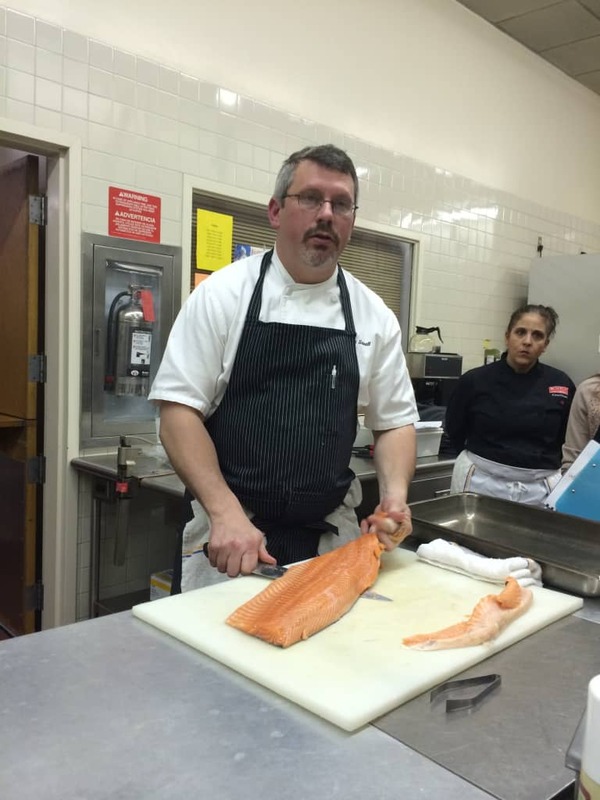 Chef Jeremy below filleting the salmon and explaining his stance on farmed vs. wild-caught fish. He doesn’t like making a negative generalization about farmed fish because some farmed fisheries are doing it right and sustainably. He said “think about farmed fish as you would farmed vegetables, some do it right, others do it cheaply”. He also suggested baking the salmon at a low temperature – 250 degrees. I’ve been cooking my salmon at home like this since the event and don’t think I’ll ever got back to high-temp cooking. The low-temp cooking allows it to be cooked to a perfect “restaurant medium” now! 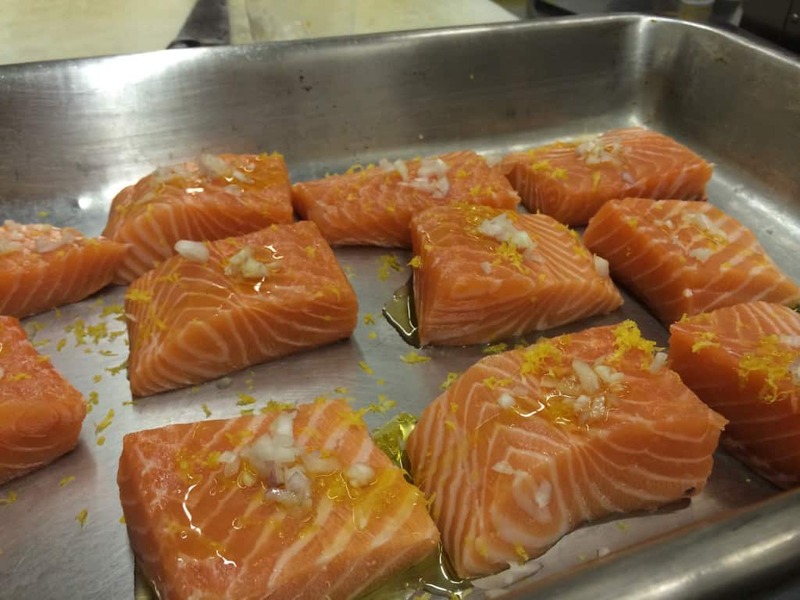 The salmon was simply topped with shallots, lemon zest and olive oil. 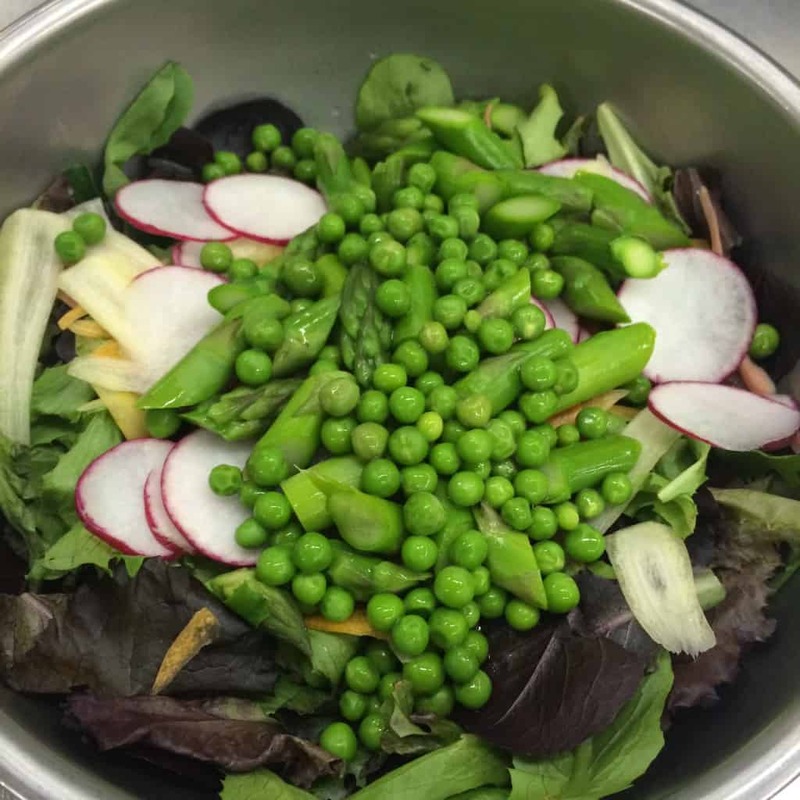 We jazzed up our green salad by adding radishes, english peas, carrots, and asparagus to the mixed greens. Major YUM! 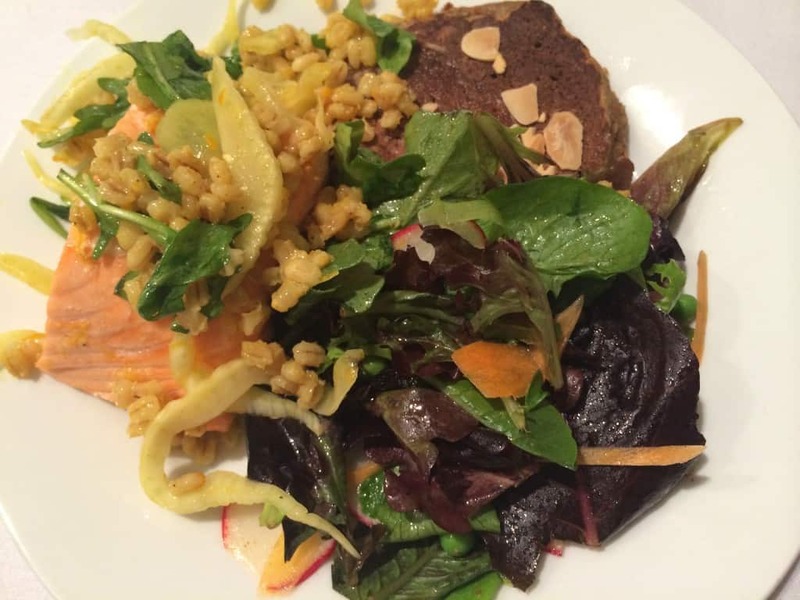 The salmon was served over a delicious toasted barley and fennel salad. Chef Jeremy recommends always toasting barley to help bring out its flavor. Spoiler alert: Keep scrollin’ for this recipe! 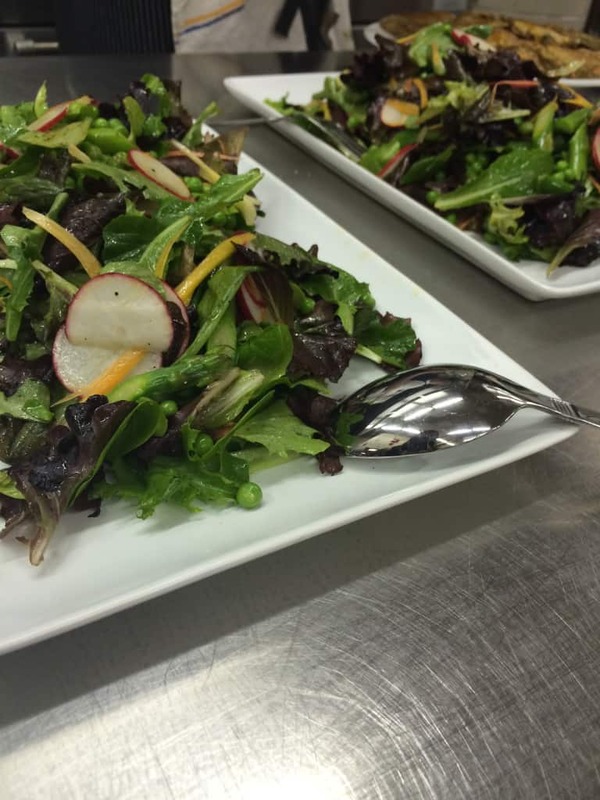 The salad was topped off beautifully with a toasted spice vinaigrette. 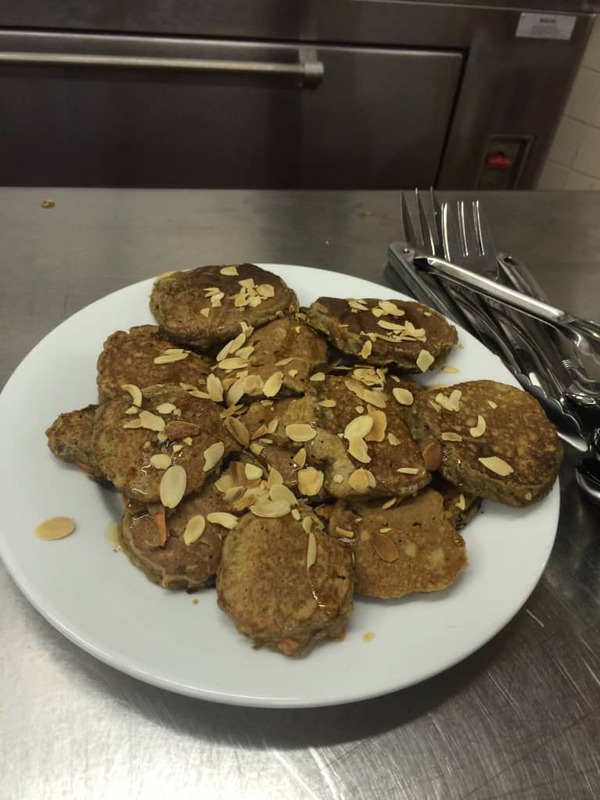 These guys were fun and totally kid-friendly: whole-wheat carrot pancakes with honey and almonds. Personally, I would have added a dollop of Greek yogurt to ’em as well. Bon appétit! We can’t forget about dessert! 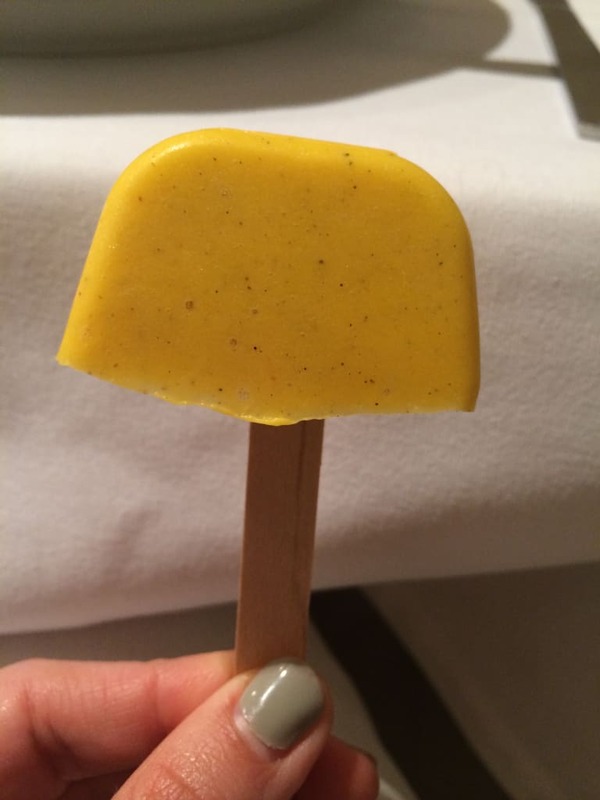 Frozen mango pops made with mango, coconut milk, cinnamon and cardamom. Definitely had a little Indian flair to them with the cardamom – very unique! Stop and Shop is doing it right. 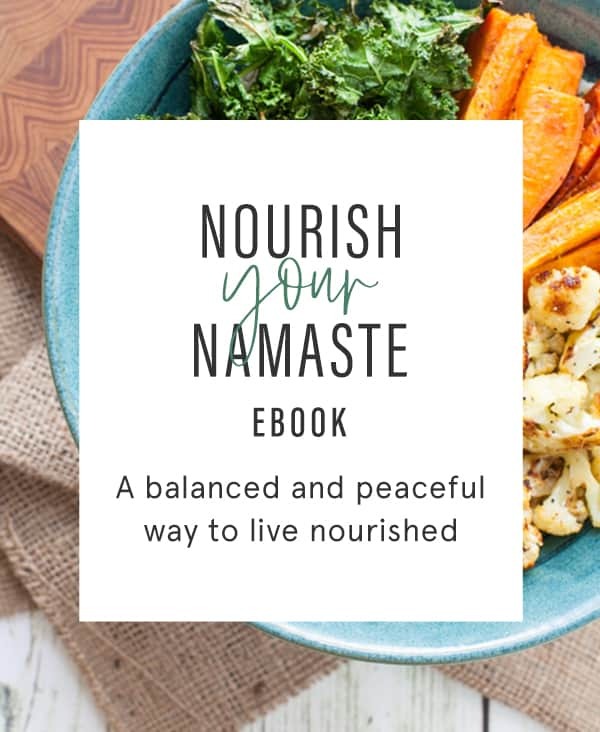 Knowing that health and wellness is a priority for their customers, they make nutrition resources readily available to them. 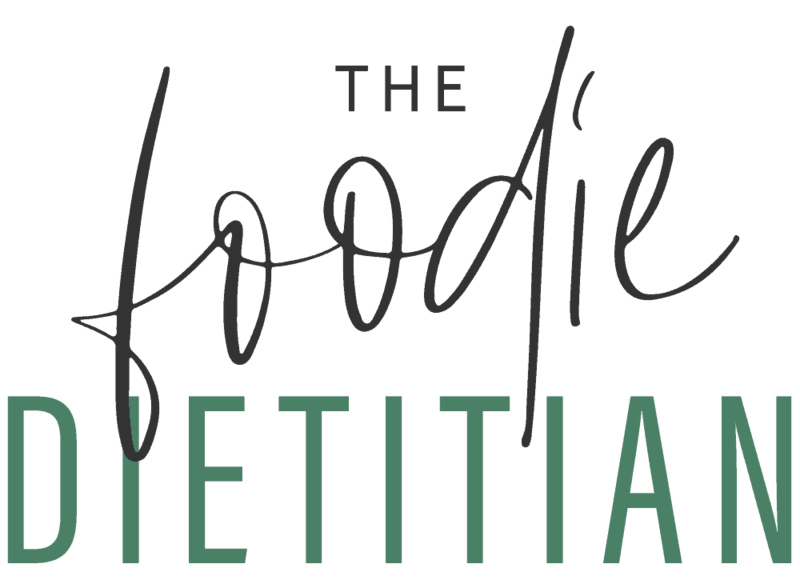 I love their Healthy Ideas Magazine but check out the other great resources they have to offer on their website here. Preheat the oven to 350 degrees. Put the barley on a baking sheet and place in preheated oven until lightly toasted, about 10 minutes. Remove from the oven and place in a medium saucepan. Cover with cold, salted water and let simmer until tender, about 35 minutes. Drain well and let cool. While the salmon is cooking, toss all of the ingredients together to make the salad. Preheat the oven to 250 degrees. 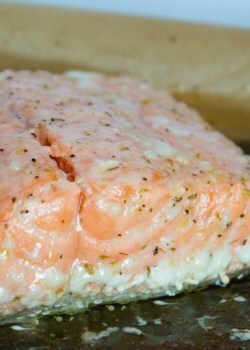 Place the salmon on a baking sheet and top with the lemon zest, shallot, salt, and pepper. Drizzle a little of the olive oil over the top. 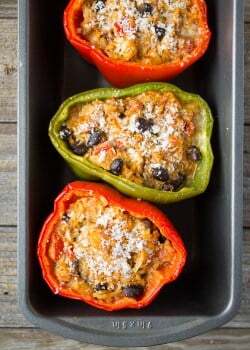 Place in oven and cook for 15 – 20 minutes. 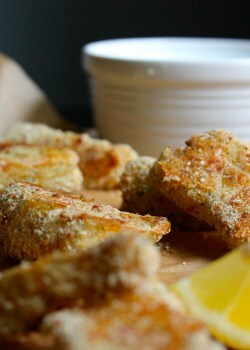 Remove from the oven and drizzle with lemon juice. Serve immediately with the barley salad. To celebrate their 100 year anniversary, Stop and Shop is giving away a $25 gift card to their supermarket. Stop and Shop supermarkets are located in Massachusetts, Rhode Island, Connecticut, New York and New Jersey. 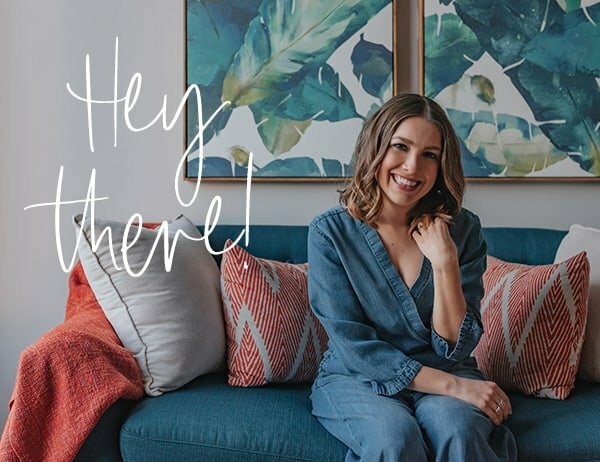 To enter for a chance to win the $25 gift card, leave a comment here and tell me your favorite items to stock your grocery cart with. You can enter additional times by: 1. Tweeting about the giveaway: “I just entered @karalydonRD giveaway for a $25 gift card to @stopandshop” 2. Following me on Pinterest 3. Sharing the news of the giveaway on Pinterest with your followers. The giveaway will run through Wednesday, 4/30 and I’ll pick a winner using random.org and announce the winner on Thursday, 5/1. Good luck! Some ppl shop harried and rush through as fast as possible. I love taking my time, winding through the isles, looking for new products and produce! At this time of year, I love filling my cart with extra baking supplies, butternut squash, pumpkin, dried fruits. I stock up on different flours and dairy products. I shop the sales and bring coupons! Time to stock up on spices & Bell’s Seasoning. I could keep going of course! I’m so glad you stopped by and thanks for your comment – I couldn’t agree more! I’m sorry! The giveaway is no longer active. i stock up on diapers and wipes at stop n shop. they are priced really good there! We stock up on fruits & veggies. The kiddos love them. Always stocking up on noodles and sauces! I like to buy fruit and baked goods. I usually try to stick with what is on sale. But some staples are fresh fruit and veggies, cheese, ground turkey or chicken, chicken breast, salmon, pasta, rice.. things like that. I have a Stop & Shop 5 minutes from my house and I shop there all the time. I love fresh fruits and veggies the most, depending on what is on special, or sale. Salads and smoothies are at the top of the list, and like to change it up. I also like to make my own hummus every week, so the tahini, dried beans, etc! Good cheese is a must!!! I also like to make my own breads every week, and that changes as far as using different flours and herbs. I like to roll the dough in herbs and seeds before baking. I love Stop & Shop!